The just-released Withings Steel HR Sport is a hybrid device that is a different kind of smartwatch, combining a classic watch look with a full suite of fitness tracking features and full smartphone integration. Instead of having an LED screen that mimics a watch face, the Withings has opted for a classic analog watch, complete with moving hands. A subtle round cutout at the top of the watch face is an OLED screen, which provides health information and smartphone notifications without disrupting the look. But this smartwatch is more than style: its fitness tracking features are top-notch. It tracks all the expected things, like steps, heart rate, calories and sleep. But it can also track over 30 specific activities, from basics like running and swimming (it's water resistant to 50 meters) to less common exercises like rowing and yoga. A long press of the watch button starts a workout, enabling continuous tracking your heart rate, and for certain exercises, using the GPS on your smartphone to map your route as well as track distance and pace. It monitors VO2 max — a measure of how much oxygen you're using during workouts — to provide a clear assessment of your fitness level. It's a popular feature in high-end fitness trackers these days, but not something you'll find in every smartwatch. Its smart features focus on smartphone notifications. You can customize alerts to vibrate and show text previews for calls, texts, events and apps. 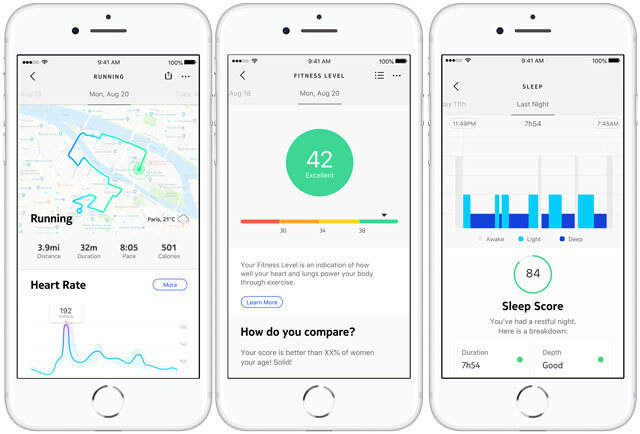 It syncs with the Health Mate app (for Android and iOS), which can connect to Apple Health, Google Fit and MyFitnessPal. It's a basic set of features, but it provides everything you need without crowding your watch face with mountains of extras. Because the Steel HR Sport doesn't have a large OLED display and doesn't run its own apps, it has a stellar 25-day battery life, meaning you won't have to worry about plugging it in every night. When the battery does run dead, it only takes two hours to charge fully, or one hour to charge up to 80%. It means you'll never be without your watch. Though the Steel HR Sport doesn't have access to all the apps or features you'll find on high-end smartwatches, it's a great fitness watch. 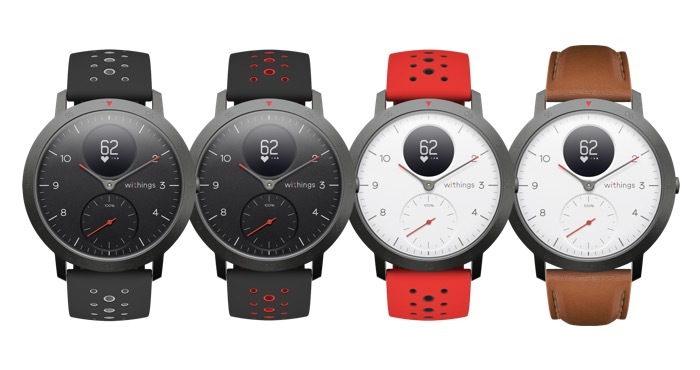 Unlike smartwatches that try to do everything, it focuses on being a watch first, and unobtrusively adds the fitness features you want and the connectivity features you need. The Steel HR Sport is available now in black or white for $199.95 from Withings.